caused by uncertain policies, ambiguous procedures and inadequate information. sector due to the financial incapacity of Governments. present level of ad-hoc approach and stampede should be eliminated. standards and anticipated demand structure in economic and social sectors. fee is charged and that there is no profiteering." punishable offences. This rule should be strictly enforced. authenticating the required information from students should be evolved. requirements in any institution and in any State in India. 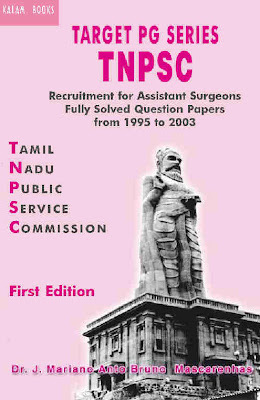 India, AIR 1984 SC 1420.
the level of the speciality the lesser the role of reservation. 50% of the available seats in the concerned educational institutions. The view was approved by this Court in the case of Indra Sawhney V.
achievement of the goal of excellence in all fields is not unduly affected. seats in the concerned educational institutions. level of super-specialities the rule of "equal chance for equal marks" dominates. This view equally applies to all super-speciality institutions. reservation of 50% of the available seats has to be respected and enforced. being left for open competition based purely on merits on an All India basis. of reservation of seats as ordained by the decisional law in the country. Accordingly, the extent of reservation in no case can exceed 50% of the seats. Test or on the basis of marks at the level of qualifying examination. of the obligatory requirements of Constitutional reservation. extent possible they should be made to feel that they are part of one nation. with distorted and negative values damaging the foundations of a healthy society. impact on the future of India. #2003-11-25#25622# 4051#P. VENKATARAMA REDDI # Dr. AR. LAKSHMANAN. Appeal (crl. )#Appeal (crl.) 104-106 of 2003#2003#Bikau Pandey and Ors. #2003-11-25#25623# 104-106#DORAISWAMY RAJU # ARIJIT PASAYAT. #2003-11-03#25624# 10906#R.C. LAHOTI # ASHOK BHAN. #Tej Bahadur Prajapati & Ors. #2003-11-21#25625# 11483#R.C. LAHOTI # ASHOK BHAN. Appeal (civil)#Appeal (civil) 9130 of 2003#2003#Ameer Trading Corporation Ltd.
#2003-11-18#25626# 9130#CJI# S.B. Sinha # AR. Lakshmanan. Appeal (civil)#Appeal (civil) 14178-14184 of 1996#1996#Brij Behari Sahai (Dead) through L.Rs., etc. etc. #State of Uttar Pradesh #2003-11-28#25627# 14178-14184#Doraiswamy Raju # Arijit Pasayat. Appeal (crl. )#Appeal (crl.) 1968 of 1996#1996#Goa Plast (P) Ltd.
#2003-11-18#25629# 199#DORAISWAMY RAJU # ARIJIT PASAYAT. #2003-11-28#25630# 20#DORAISWAMY RAJU # ARIJIT PASAYAT. #2003-11-14#25631# 278#DORAISWAMY RAJU # ARIJIT PASAYAT. Appeal (crl. )#Appeal (crl.) 292 of 1997#1997#State of Madhya Pradesh. #Awadh Kishore Gupta and Ors. #2003-11-18#25632# 292#DORAISWAMY RAJU # ARIJIT PASAYAT. ###State of Punjab & Anr. #M/s Devans Modern Brewaries Ltd. & Anr. #2003-11-20#25633##CJI.# R.C. Lahoti # Dr. AR. Lakshmanan. #2003-11-24#25634# 331#DORAISWAMY RAJU # ARIJIT PASAYAT. Appeal (civil)#Appeal (civil) 3630-3631 of 2003#2003#The Prohibition & Excise Supdt., A.P. & Ors. Appeal (crl. )#Appeal (crl.) 371-372 of 2003#2003#Ram Dular Rai & Ors. #Dist. Officer, Kerala Public Service Commission & Ors. #2003-11-17#25637# 4075-4081#CJI. # Dr. AR. Lakshmanan. Appeal (civil)#Appeal (civil) 4698-4700 of 1994#1994#State of U.P. & Ors. #2003-11-27#25639# 506#DORAISWAMY RAJU # ARIJIT PASAYAT. Appeal (crl. )#Appeal (crl.) 519-521 of 2003#2003#Goura Venkata Reddy Vs.
#2003-11-19#25640# 519-521#DORAISWAMY RAJU # ARIJIT PASAYAT. Appeal (crl. )#Appeal (crl.) 530-531 of 2003#2003#Bhargavan & Ors. #2003-11-17#25641# 530-531#DORAISWAMY RAJU # ARIJIT PASAYAT. Appeal (civil)#Appeal (civil) 7371 of 2002#2002#N.D. Thandani (Dead) By Lrs. #Arnavaz Rustom Printer & Anr. #2003-11-24#25642# 7371#R.C. LAHOTI # ASHOK BHAN. #2003-11-21#25643# 9205-07#DORAISWAMY RAJU # ARIJIT PASAYAT. #The Superintendent of Police & ors. #2003-11-18#25644# 77-78#S.N. VARIAVA # H.K. SEMA. Appeal (civil)#Appeal (civil) 7868 of 1995#1995#ITW Signode India Ltd.
#2003-11-19#25645# 7868#CJI# S.B. Sinha # Dr. AR. Lakshmanan. #2003-11-19#25646# 857#Shivaraj V. Patil # D.M. Dharmadhikari. Appeal (civil)#Appeal (civil) 3630-3631 of 2003#2003#Prohibition & Excise Supdt. A.P. & Ors. #Toddy Tappers Coop. Society, Marredpally & Ors. #State of Bihar and Ors. #2003-11-20#25648# 62-65#CJI# # S.B. Sinha. Appeal (civil)#Appeal (civil) 8232 of 1996#1996#Hindustan Lever & Anr. #State of Maharashtra & Anr. #2003-11-18#25649# 8232#R.C. Lahoti # Ashok Bhan. #2003-11-21#25650# 5337-5339#SHIVARAJ V. PATIL # ARIJIT PASAYAT. #Ashish Kumar Das & Anr. #2003-11-18#25651# 9131#CJI# S.B. Sinha # Dr. AR. Lakshmanan. Appeal (civil)#Appeal (civil) 3130 of 2002#2002#Ashan Devi & Anr. #2003-11-19#25652# 3130#Shivaraj V. Patil # D.M. Dharmadhikari. #2003-11-18#25653# 7096#S. N. Variava # H. K. Sema. #State of Bihar & Ors. #2003-11-19#25654##Brijesh Kumar # Arun Kumar. Appeal (civil)#Appeal (civil) 9136-9137 of 2003#2003#M/s.Sathyanarayana Brothers (P) Ltd.
#2003-11-18#25656# 9136-9137#Brijesh Kumar # (Arun Kumar.